7-foot Flip Table - twice the fun - easy as click and flip! 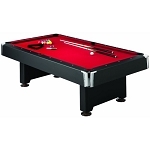 Complete air-powered hockey table-converts to solid, sturdy Billiards table in seconds! 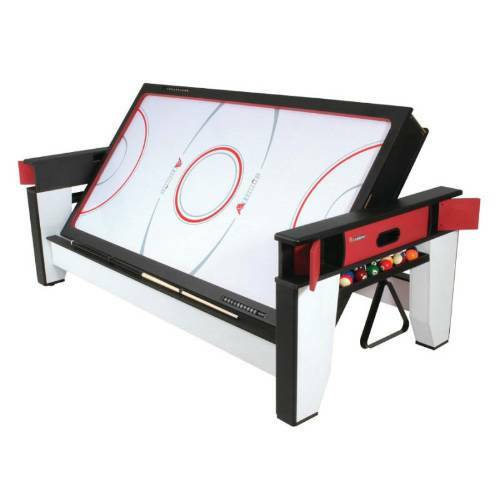 When space is limited, this 2-in-1 table provides you the fun of both games with minimal space. 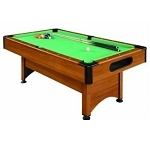 Billiard and air-powered hockey table. 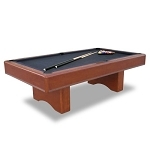 Billiards table - high density MDF play bed - provides solid roll and resists warping. 3" solid MDF rails and heavy-duty aprons - provides consistent bounce and durability to withstand rigorous play. 4" boxed and tapered legs with levelers - stable and level play on any surface. 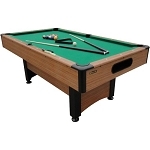 Includes: Block scorers and accessories - (2) 57 inch cues, (1) set of billiard balls, (1) rail brush, (1) triangle, (2) chalk, (2) strikers, and (2) pucks. 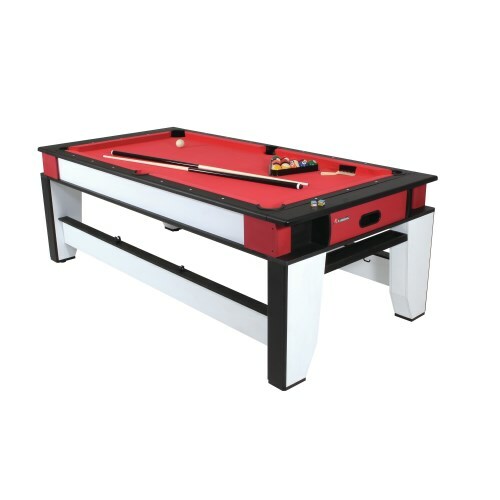 Table can accommodate a Table Tennis Conversion Top. This product includes a 90-day factory warranty from Escalade Sports. Q: What are the dimensions of the table? 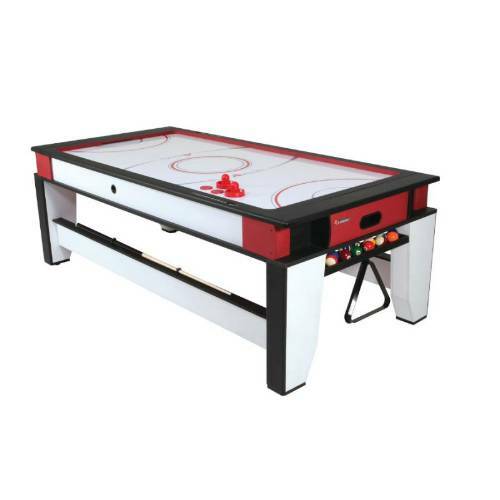 Q: Is this table battery operated or does it plug in to an outlet for the air hockey? A: It definitely uses a plug. It is not battery-operated. 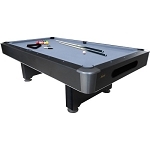 Fast Shipping: Orders for the G05214W Air Hockey and Pool Table Combo generally leave the warehouse the next business day. Dimensions: 84" x 48" x 9"